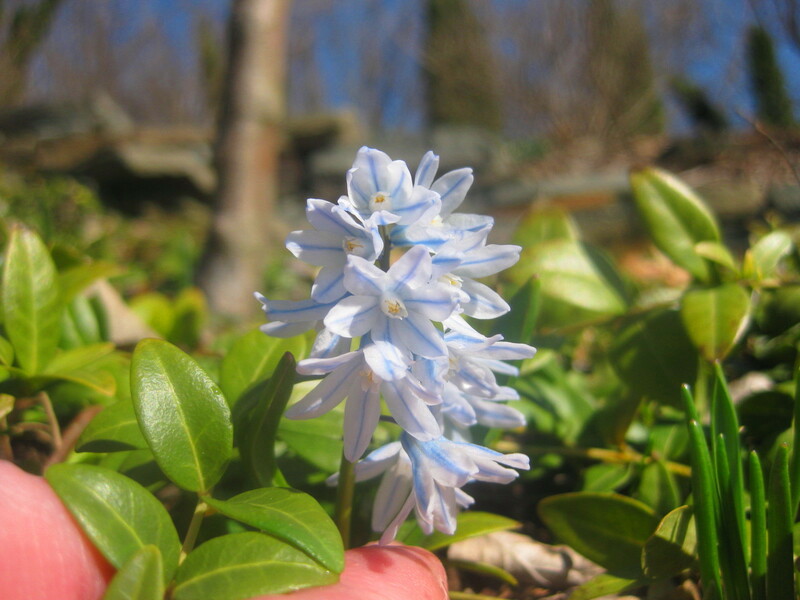 THIS WEEK, Puschkinia scilloiodes var. libanotica, pictured above, opened its tiny blossoms in my zone 5-b garden. 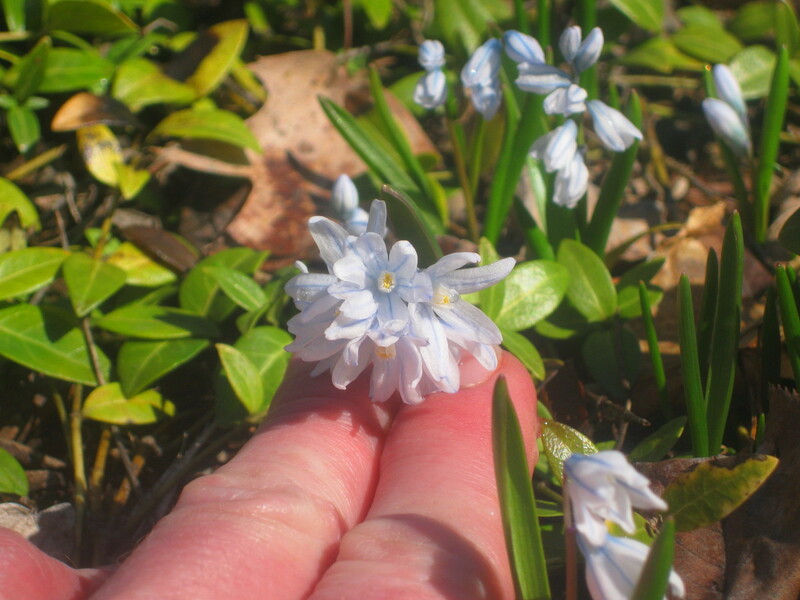 For such a tiny bulb, its flowers fill the April air with a luscious scent. 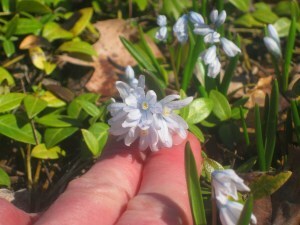 If you don’t already have P. libanotica in your garden, consider ordering the bulbs next fall. Be sure to plant them the moment they arrive; minor bulbs bloom so early in the season, they need extra time to make their roots. Plant the bulbs not more than two inches deep. What’s blooming for you these early days of April? Kevin, do you have chiondoxa? This one is blooming in my garden now. Unfortunately it has no scent that I can detect. Eric – how funny! I photographed my chiondoxa this morning. True, it's not fragrant. Just beautiful! Do you have a photo of your crabapple tree? We have just bought another house (not new but new to us) and in the backyard is a tree we are having a discussion about, since it was dormant when we took possession. I first thought persimmon but my husband — a true country boy– said crabapple. Tiny dried fruit from the previous season appear to be apple-like, but neither of us is really familiar with crabapples, so we’re still not sure. It’s blooming now–lovely, white blooms–but it’s a neglected tree, badly pruned, and is not, and probably won’t be, at its full blooming glory.